Why do some work from home moms get more done than others? I ask myself this question frequently, particularly when I’ve had one of those days. You know those days – The day when you look up and realize it is 3:00 and the house is still a wreck, you are still in your workout clothing and you have no clue what you are going to be cooking for dinner. And yet, you look back at the day and know that you were busy the whole time. You didn’t turn the TV on. Your phone was still fully charged, so you weren’t on social media. You didn’t waste the day away napping (hello kids). The day just magically disappeared. I have a lot of those days and I only have one toddler to take care of. I don’t know how you mom’s with multiple kids get anything done. I often fall into the trap of feeling like a failure on those days. When I’m really objective with myself, I remember that we went to the park and the gym, I made a full breakfast and lunch, we played games and my toddler is dressed and ready for the day. All of those things matter more than I often give myself credit for. I know that at times, part of the reason I discount that type of stuff is because I’m not “working”. Stupid huh! It is easy to get caught in the trap of thinking that because I’m not working at my job or on my side hustle, that my actions don’t count. I kept thinking that time spent at the park was wasted rather than appreciating the moments. I finally realized that my problem was a lack of clear boundaries between my work and my personal time. I have a feeling that most of the work from home moms out there can sympathize. Since this realization, I’ve put a lot of work and effort into setting clear dividing lines between my family time, my work time and my side hustle time. Unfortunately, it is still very much a work in process, but something I’m learning to prioritize more and more each day. I’m all about optimizing my time. When my daughter goes down for a nap, 90% of the time, I’m on my computer within 5 minutes. I know that I have a very limited amount of personal and work computer time and I can’t waste a minute of it. I can guarantee that you guys feel the same way, regardless of what you are prioritizing during your limited free time. So now is the big question, how do you prioritize your free time to grow your business? As soon as I have a few minutes, I review my To Do list from the night before and prioritize my list. Nap time can be from 1-3 hours, so I have to hit things hard and fast. However, I’ve also found that if I hit things too hard and fast I burn myself out. So I’ve begun using a modified block schedule. I’m going to use the example of this blog (since that is my side hustle), but this will work for pretty much any mompreneur idea you have. My goal is to spend 10 hours a week on my blog. I’ve broken up the time based on writing, editing, graphics, social media, training, and my master task list. At the beginning of each week, I look at my task list and decide how I’m going to split my time. It isn’t an exact science on the time, but my goal is to prioritize writing and then move down from there. Once I have my priorities decided I look at my schedule and then set aside blocks of time each day to work. I also split this time with my part-time job since my structured work time always bleeds into my regular days. I plan in a lot of flexibility for short naps, emergency calls from work and the need for at least some form of a social life. I also try and stack the most important stuff at the beginning of the week so that I’m free on the weekends. It isn’t a perfect system and my schedule gets thrown out the window virtually every week. However, I’ve found that putting this basic structure in place has eliminated a lot of wasted time. 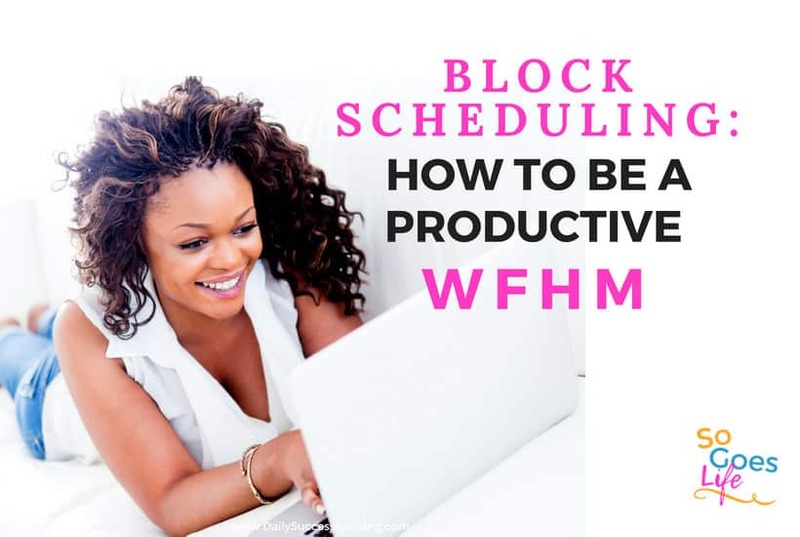 Before I started the block planning session, I would often sit down to work and get so overwhelmed with everything that nothing would get done. I’d bounce from fire to fire and could never seem to catch up with myself. By focusing on doing specific tasks together and in set time periods I’ve increased my productivity significantly. 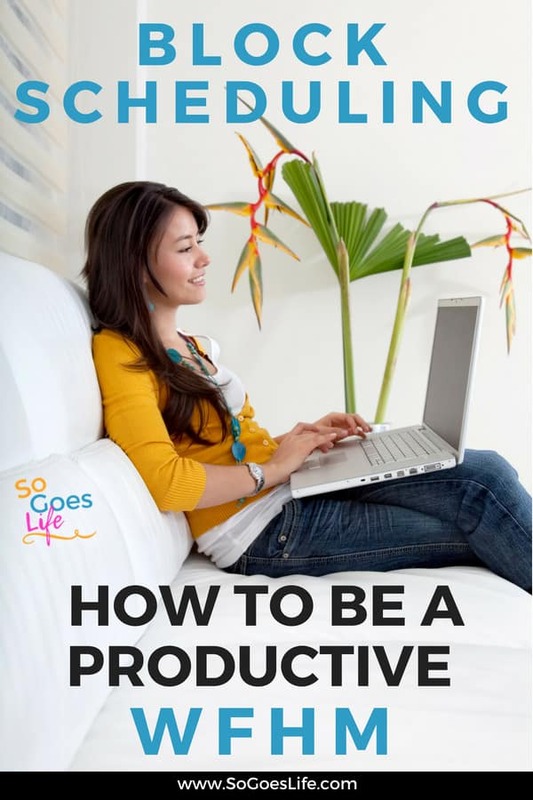 If you are struggling to organize your life to free up a few hours for a side hustle, I think you’ll find this method very beneficial. Sunday night write out your to-do list for the week. Personally, I recommend being very detailed with your list. Don’t be vague and say something like, I’ll write for 2 hours this week. You need to list the exact task you will be working on. Prioritize your tasks based on ROI (Return on Investment – I really need to write a blog post on this to reference it is such a key concept). As bad as it sounds you need to think in terms of money. If you are wasting your time on tasks that aren’t going to make you money, shuffle things around. You have very limited time and need to focus your energy on what has the most bang for the buck. When at all possible schedule blocks of 2 hours. This may vary based on your individual personality. I’ve found that I can be ultra-productive for 2 hours (if I take a few short breaks). My focus during that time is phenomenal. Once I hit my 3rd hour, my productivity decreases unless I stop for a bit and recharge myself. I can only sit at my desk for so long before I got a bit stir crazy. I don’t know about you guys but finding two hours in a row isn’t always possible. When I can’t do two hours, I try and break my tasks down into 15-25 minute chunks. I prefer the longer periods but have found that when I have a clear to do list, I can optimize the small chunks of time just as effectively. It is all about making sure I have a plan going into each day. Experiment with your blocks and find out what works for you. I’ve found that some blocks of time are more effective than others. Part of this is based on when I’m working (I’m more productive in the morning) and part of it is the task. Some tasks I enjoy more than others. Either way, focus on what works for you and your daily schedule. Remember when you are doing large blocks of time you need to factor in some downtime. I’ve found that I’m most productive when I work on a set task for 25 minutes and then take a five-minute break. Here is the deal, being a mompreneur is really hard. Trying to manage, your home life and a business on the side takes a lot of skill. Growing a small business doesn’t just happen. It takes planning, dedication, and commitment. If you want to be successful with your side hustle you must begin treating it like a business from the very beginning. This means no excuses – you must manage your time effectively.